Line Up gives you the opportunity to enjoy KITE, SURF OR SUP in Fuerteventura…with world class conditions kiteboarding, surfing and Stand up paddle in the Canaries while testing the latest equipment on the market. 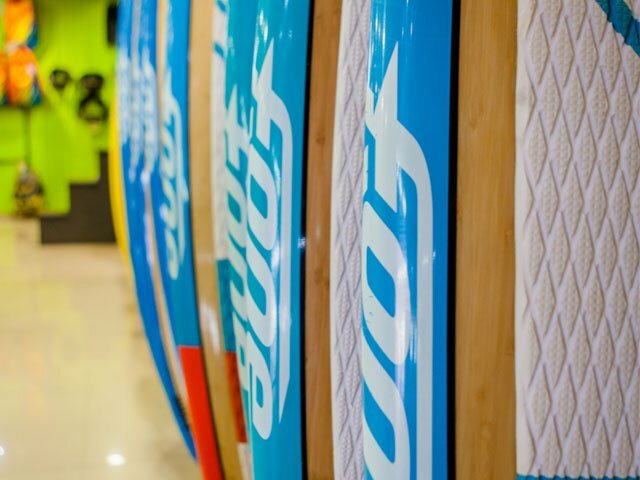 Come and visit our surf shop and testcenter by Manu Taub situated in Corralejo, you will find that we can cater to your every need and help you enjoy a large array of sporting activities with top equipment whilst here on the island. 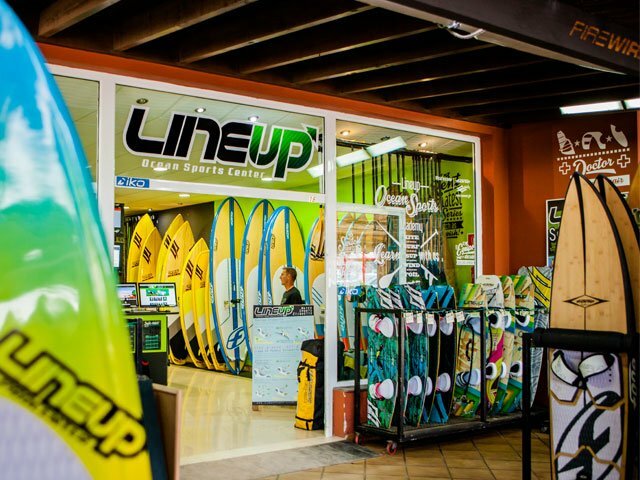 The lineup center is based in an ideal located on the outskirts of Corralejo to make picking up of your equipment on the way to the beach a fast and easy process. 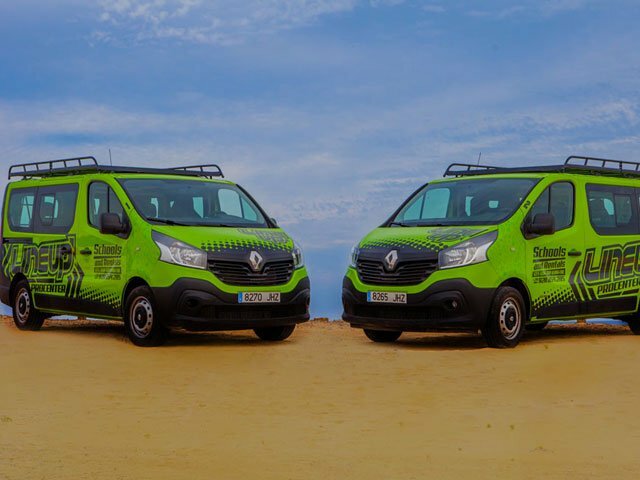 Our professional staff will assist you in finding the right gear, the best surf spots in Fuerteventura and courses to suit your wants and needs. We will be happy help you organise your holiday in with excursions and activities in Fuerteventura so you can enjoy yourselves to the max! 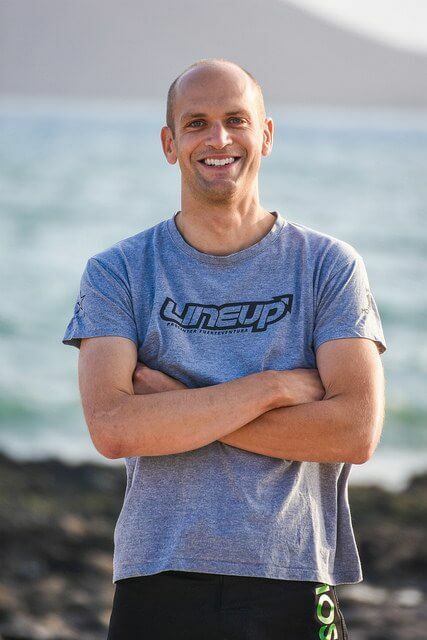 Manu Taub, holder of two world speed records with a kite has turned his dream into reality by installing his center “Line Up Ocean Sports” in Corralejo. 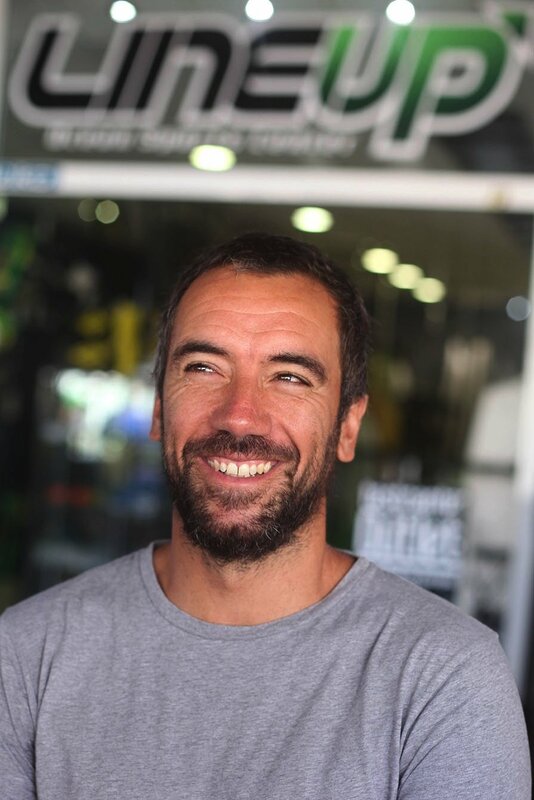 He had the vision of offering a high-end “Tescenter – Rental service” and high standard “Ocean Sports Academy”, in a place like Fuerteventura, where conditions are worldclass and the growing arrival of more experienced visitors, demands quality standarts. 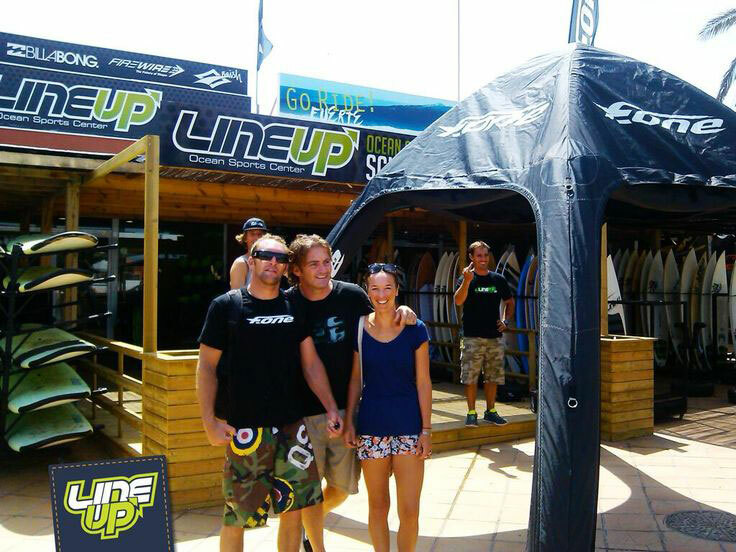 Centers like Lineup, placed Fuerteventura on the Kite / Surf / SUP world map destinations. Experienced riders as Bertrand Fleury, Tuva Jansen, Javier Jimenez and the same Manu Taub, are part of the Lineup family. The possibility of taking clinics, lessons and courses with such water-sports personalities and being able, when renting or buying, to share a talk about choosing your equipment with them, all this adds a plus, to the better Ocean Sports Center in Fuerteventura. Meet our Line up staff! We are a group of waterlovers, doing what we do because of the big passion we have for watersports! Waterman and Lineup boss! 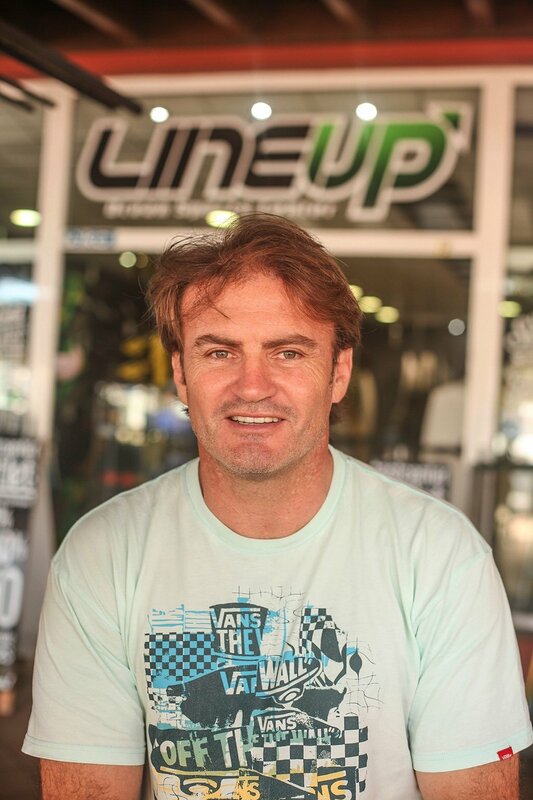 He has won 2 world speed records in Kitesurfing! He on of the fastest kitesurfer on earth! Also surfs, Sup, Foil, and all this in the toughest conditions! Stylish Longboard surfer. 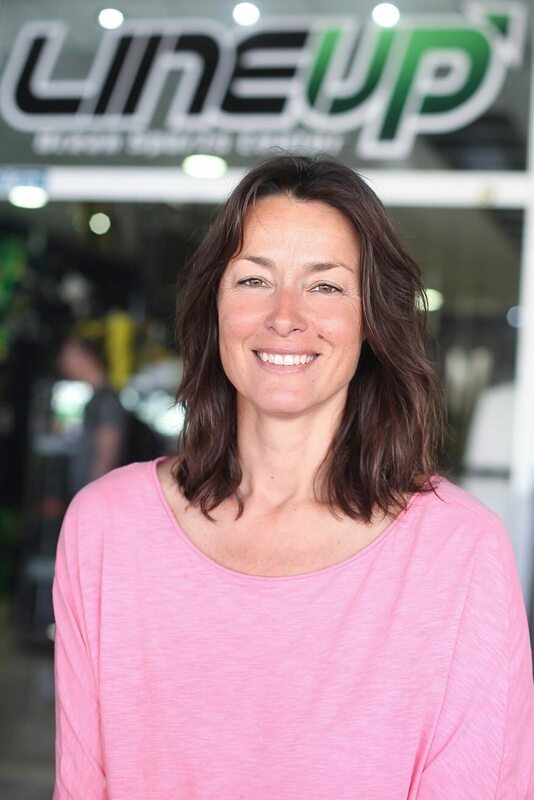 One of the heads of the company. She takes care of administration, and reservations. Makes sure that all schools are neat and running. 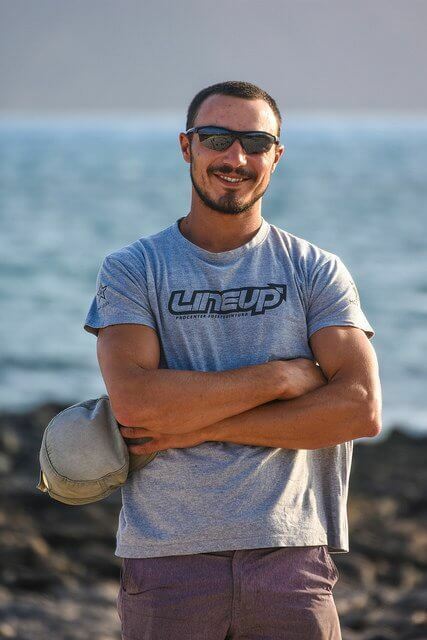 Italian surf instructor from Sardinia. In love with the island and in love with the sport. Has spend many years on Fuerteventura, and will show you all the best spots on the island! 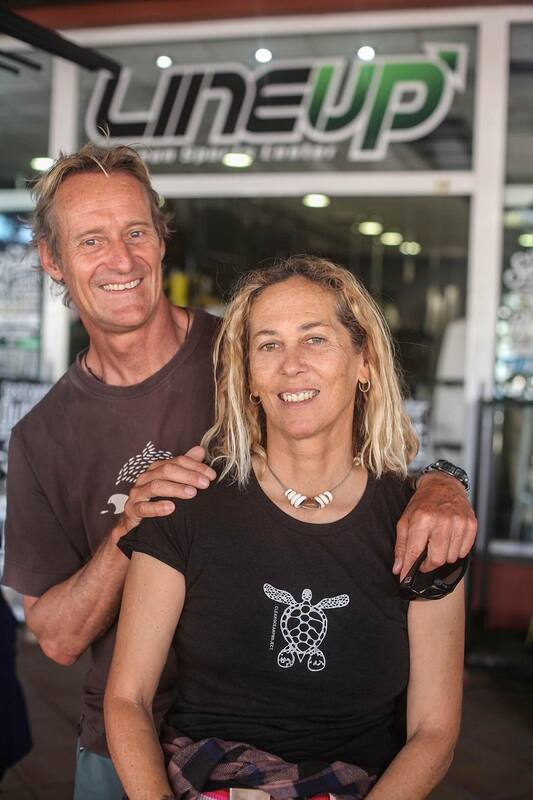 The 2 professionals kitesurfers, Tuva Jansen and Bertrand Fleury have been spending their last 8 years traveling the world kitesurfing, and searching for the best waves and wind out there. They live between Fuerteventura and Indonesia, organizing PRO surf camps with Line Up! They are part of our family. 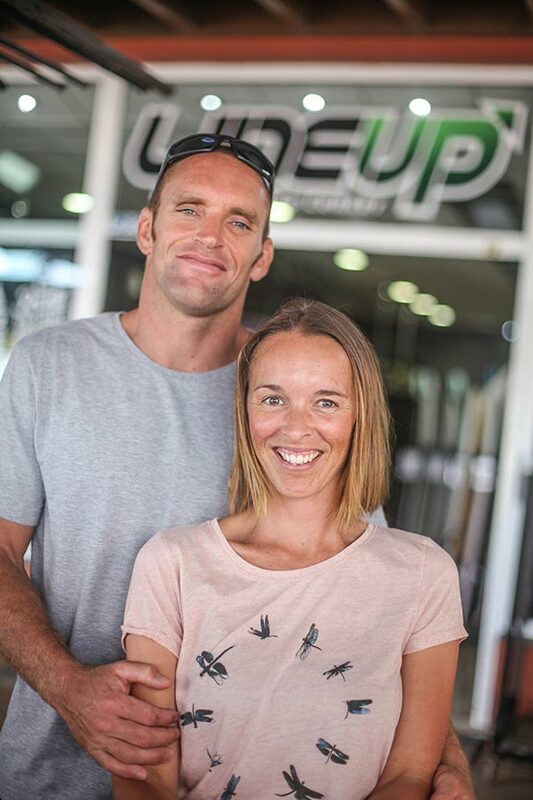 Nicole and Stephane: One of the nicest windsurfers couple, having helped to promote windsurfing in the world media..Know for their passion , dedication and seeded at the top rankings during their PWA campaign in World cup, Indoors and Trilogy. They are part of the Line up family. 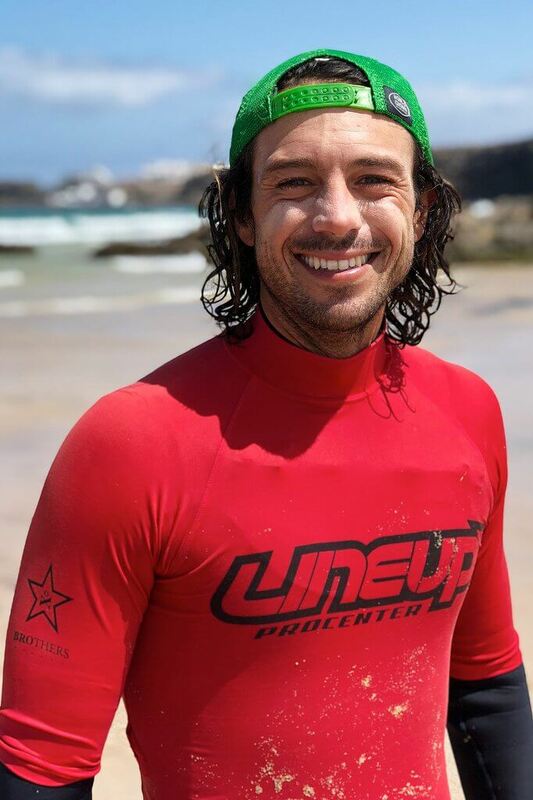 Italian Blood Surfer, knows the island as a local, and can be the best entertainer for your surf session, and you will return with big surfing knowledge on top of that. 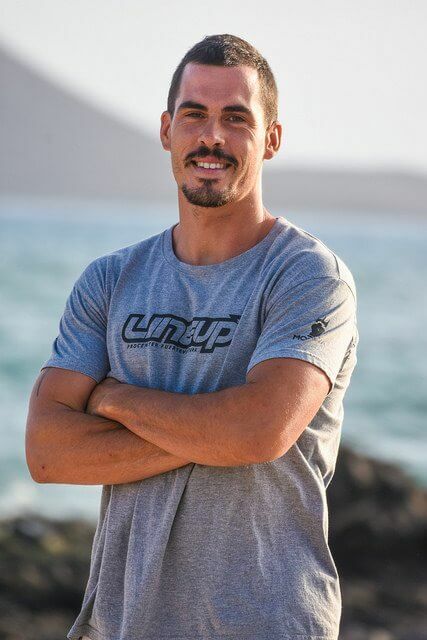 Book a surf lesson with him, and for sure you will repeat! 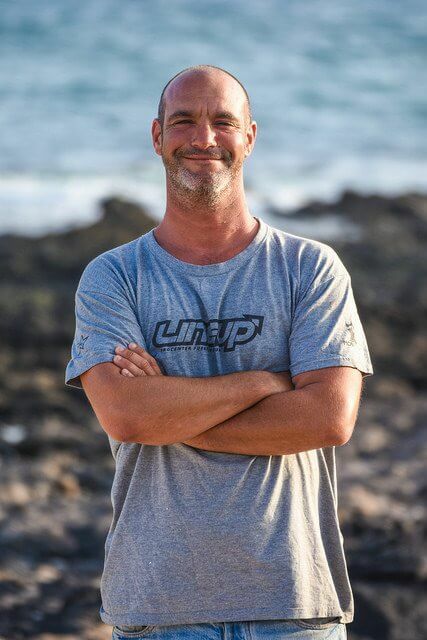 It’s one of our Kite instructor with more years of experience teaching kite in Fuerteventura. He speaks English, Spanish and Italian. 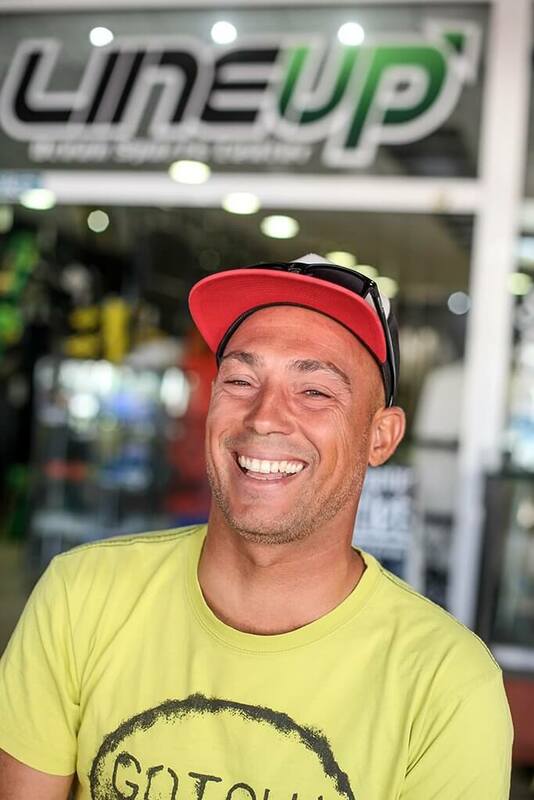 His passion about kitesurfing and the Majoreros its contagious. Different ocean conditions, pristine waters, good weather all year round, kilometers of sandy beaches and reef breaks, and frequent flights from Europe make this island your perfect water sports holiday destination. Frequently compared to the Hawaiian north shore, Fuerteventura is also known as a quiet island. It’s the ideal place to take it easy and enjoy a healthy lifestyle with friends and family. Below some random pics from Fuerteventura …an all year round experience. Pristine water and perfect temperatures every month..